Have you ever tried to order printed t-shirts, only to find out the cost was too expensive, or that you didn’t meet the minimum? Hi-Def Digital Printing could be the answer you’re looking for. Take a look at the hottest items and trends from this year's biggest trade shows. Before the Sandhill launched, we had never seen a dress shirt generate so much excitement. From photo shoots, tradeshows and distributor sales meetings, the feedback is consistent - this shirt is top of its class. Vantage Apparel, award-winning decorator and industry top source for custom logo apparel, is now an approved decorator for the SanMar PSST program at each of its locations in Avenel, New Jersey; St. Louis, Missouri; and Santa Ana, California. Happy Embroidery Month! Here at Vantage we jump at every opportunity to share our love for all things related to decorated apparel. As leaders in the promotional apparel industry, it’s only natural that we celebrate the design technique that started it all, embroidery. 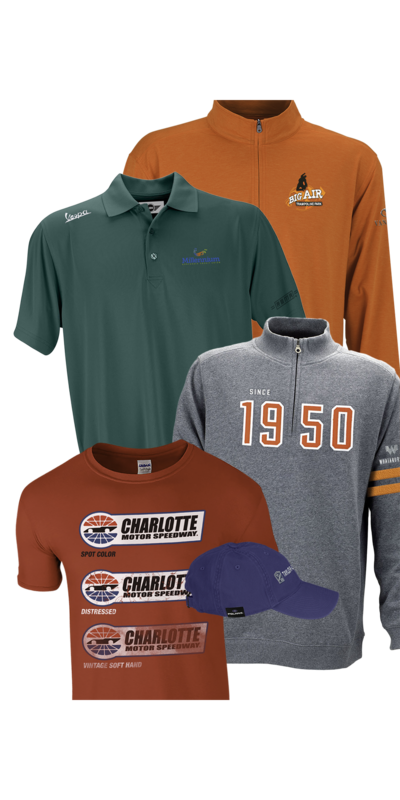 With more than 500,000 different embroidered logos under our belt, 1200 embroidery heads and the industry’s most experienced digitizers and operators, no other company does it better than Vantage. Taking a cue from nature’s palette, current fashion is fresh with bright, bold colors. From citrus shades of yellow, lime and orange to sky blues, field greens and sunset magentas, these colors are fully saturated and make a statement. Here’s 3 ways to put a trendy fashion twist on your current logo apparel collection. Vintage soft-hand screen printing is a popular method for creating trendy, retail-looking garments. The nostalgic aspect makes it perfect for corporate anniversaries, throw-back campaigns and company stores. Here’s how it’s done in 5 easy steps. You’ve got your list, and checked it twice. Your objectives are clear, your goals are in view, and your most knowledgeable staff is prepared for the show….Now what? How can you make sure your days of initiatives are fully optimized? If you are in the promotional products industry no matter your role, sales rep, distributor, supplier or marketer you understand how crucial trade shows can be. Ever get a call from your biggest client with a last minute request that seems impossible? Happens all the time, right? You can certainly bet you haven’t been in the promotional products business very long if you haven’t. Looking for something new to try with your client’s logo? Check out one of the hottest decoration trends in logo apparel – laser etching. This popular technique uses laser technology to burn a logo or design right into the fabric of a garment. The end result differs by fabric but is always a precise, clean mark. Could a conversation on a tradeshow floor really turn into a 5,000-print placement job delivered overnight? Depends on whose booth you’re standing in. A distributor received a phone call for a rush delivery for time-sensitive t-shirts to give away at a press event. It started as 1,000 t-shirts, 2 placements, but by the time it reached the customer service associate, the desired order size had increased to 2,500 pieces. 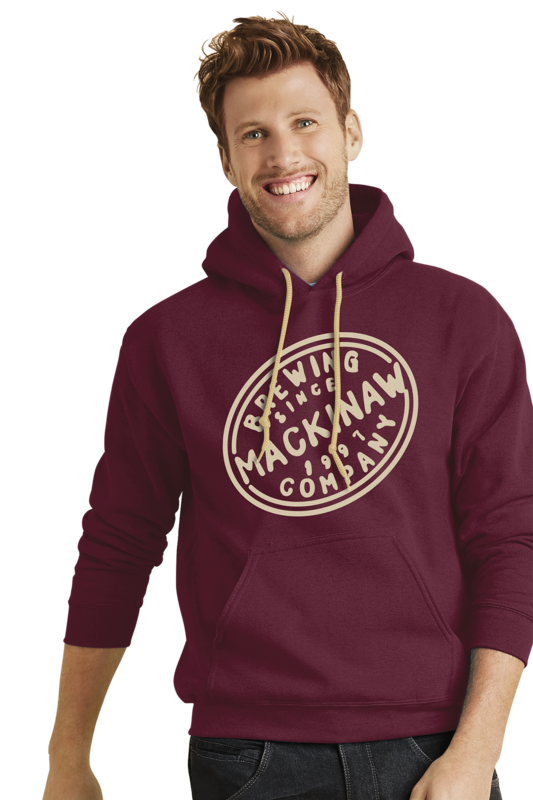 “But what about that one?” the distributor asked as he turned toward our “varsity” quarter-zip pullover bearing the year “1950” across the chest in bold, two-layer twill applique. I racked the polo shirt I was holding and grabbed the pullover off of the pop-up display.